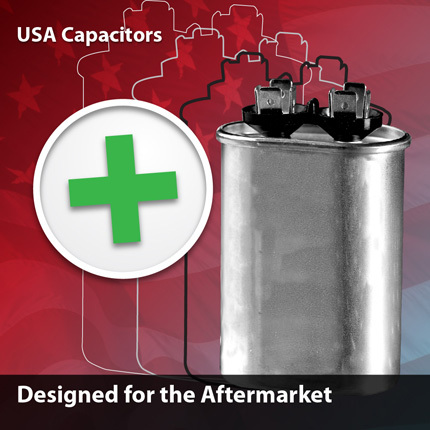 Made in the USA capacitors are 100% tested for reliability right out of the box. 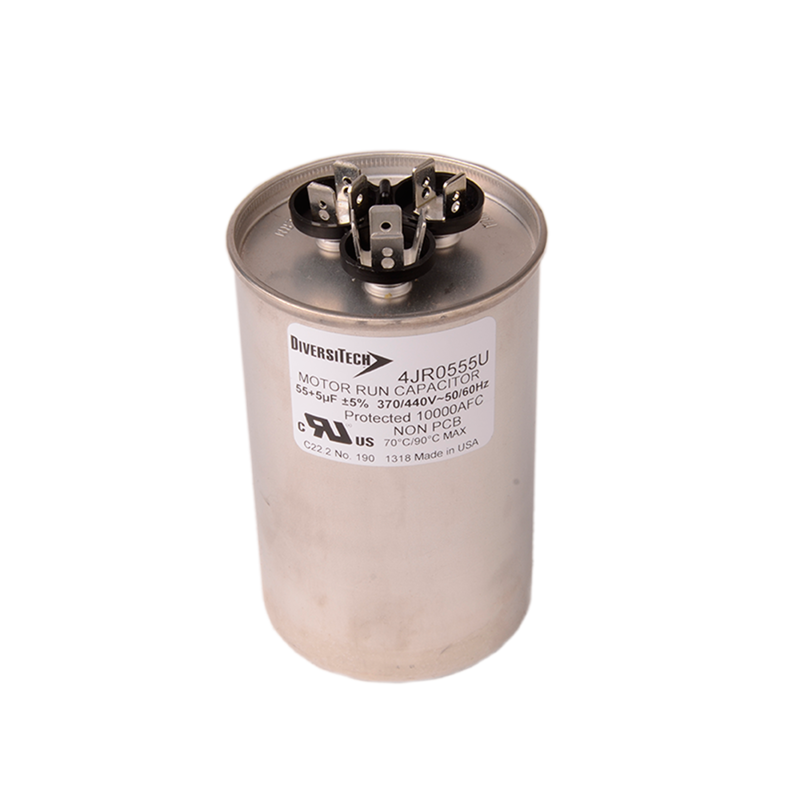 These capacitors perform correctly on every installation, helping you get more done in less time and with fewer problems or callbacks. Each capacitor is rated for 60,000 hours, providing years of worry-free operation and performance. 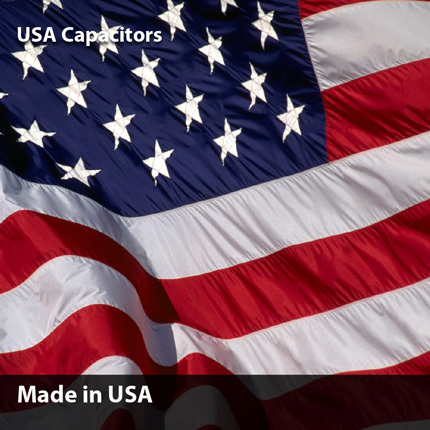 Each Made in the USA Capacitor is UL recognized and meets the Electronics Industries Alliance (EIA) standard 456-A for capacitor performance and durability. 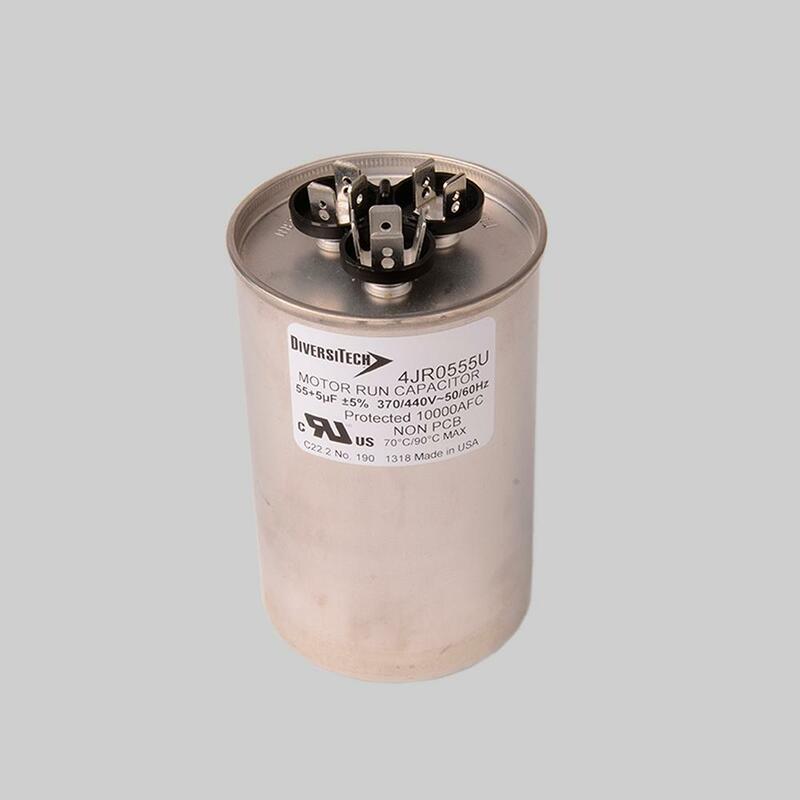 These capacitors can be stored in a wide temperature range from -40C to 90C and have an operating range of -40C to 70C, meaning they will work properly in almost any field application. 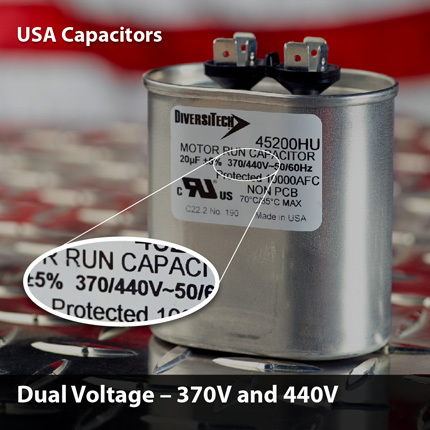 Made in the USA capacitors from DiversiTech are dual voltage, working for both 370V and 440V applications. And since you'll only need one capacitor for either voltage, there's no need to carry multiple single voltage units. This means less parts to inventory, helping save time and money. Supports jobs, companies, and people here in the USA.